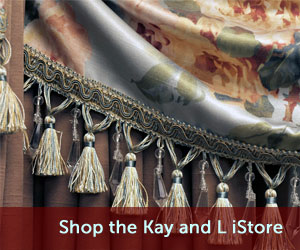 Custom Drapery Workroom | Kay & L Draperies Inc.
We’ve built our reputation on quality, personalized service and attention to detail. Designing, creating and fabricating custom top treatments is one of our specialties. Our seamstresses have over 150 years of combined experience manufacturing draperies, top treatments, bedspreads, coverlets, duvets, dust skirts, pillows, upholstered headboards and cornices along with many other custom home décor items. 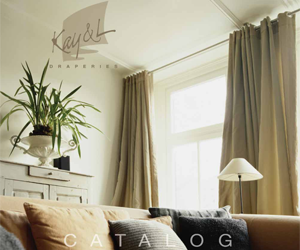 You can use Kay & L Draperies line of fabrics or you can supply your own materials (C.O.M.) for fabrication in our workroom. Our knowledgeable staff is available Monday thru Friday to help you with all your orders or questions concerning our fabrics or workroom fabrication. 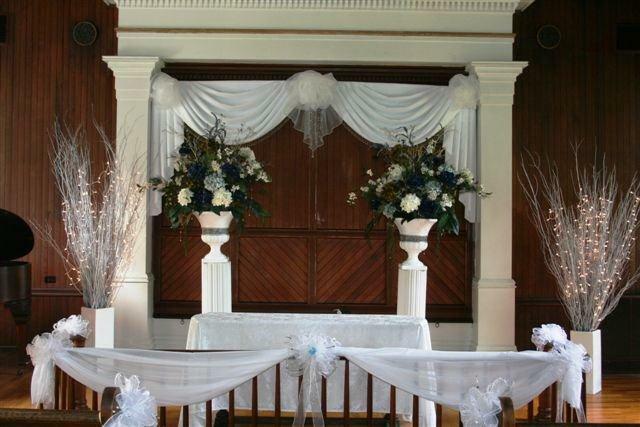 There are a variety of options and features but our standard pinch pleated draperies feature the following. All headings are 4” heavy weight Hovotex. Three fold French pleats are standard in all draperies. All draperies will be made with double 4” hems; all hems are blind-stitched. We will use laminated weights at corners unless detrimental to fabric. Surging and over locking stitch joins multiple widths. Some fabrics require straight stitching and will be up to the workrooms discretion. Side hems are 1 ¼” to 1 ½” wide doubled and blind stitched, except where it would be detrimental to the fabric or appearance. We table all draperies to assure exactness of size. 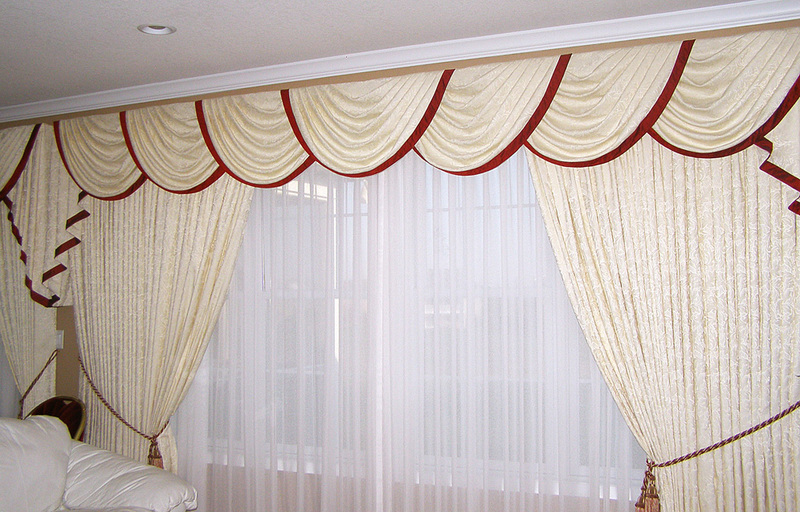 Each drapery panel will be fan-folded unless it is too large to do so or you request otherwise. Pins will be inserted at no extra charge when a pinset is given. Each drapery pair or panel is individually labeled as to size.